Signed and dated l.r., pencil "V. Varvaressos '84". 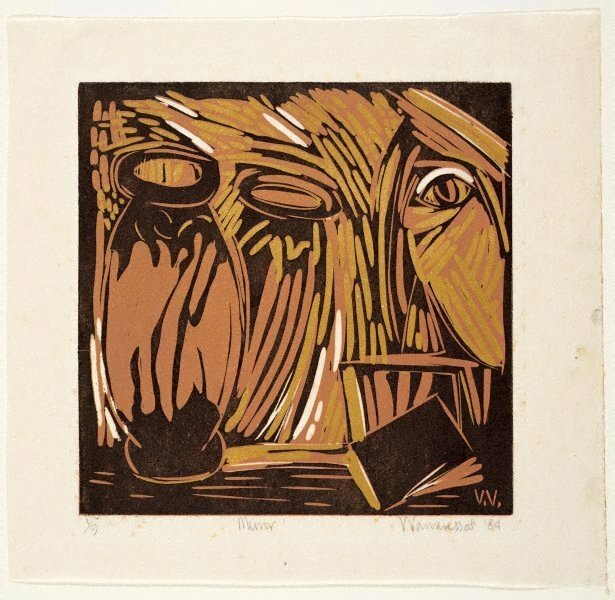 Signed within block to print l.r., incised "V.V. ".